Although it can take a little extra effort on your part to buy a pre-owned auto with a lower credit score, there are quite a few options available to you. Take advantage of these helpful used car tips buying with poor credit in St. Louis to aid you in locating a reputable dealer and a dependable used vehicle and applying for a loan to finance the car. • Before you begin your auto search, acquire a copy of your credit report and your credit score. Scrutinize your credit report to ensure that it is accurate. If something is wrong, initiate the correction process as quickly as you can, as the process takes time. • If possible, pay off all small debts and put off buying a car for six months so that these actions will show up on your credit report. This can positively affect your score. • Know “how much” car you can afford and don’t be pressured into spending more. • Understand that you may have a higher interest rate and will be expected to front a more substantial down payment than someone with an excellent credit rating. 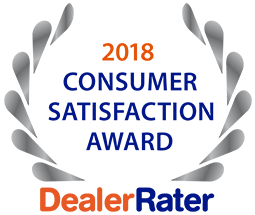 • Look over customer reviews on the dealer’s website, the BBB, and Yelp. • Many dealerships work with individuals with poor credit, and they are more inclined to assist you. • You can qualify for used VW cars for sale, trucks, minivans, and SUVs. Contact 5 Star Auto Plaza at (636) 940-7600 for additional information about our services and more used car tips buying with poor credit in St. Louis. With some preparation, you will be able to find affordable financing that fits your needs regardless of your credit score.